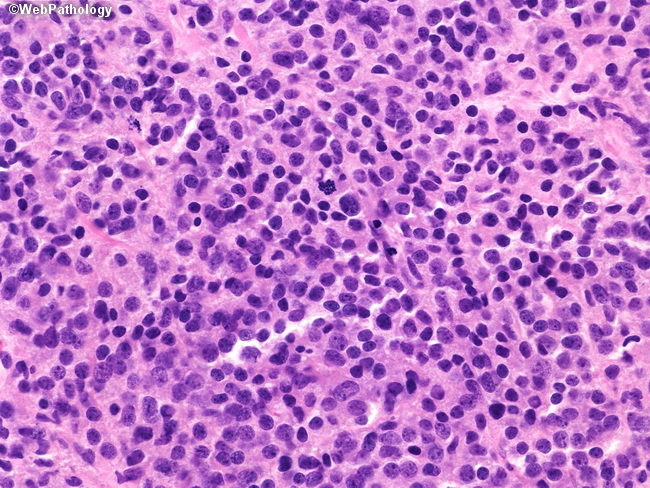 Solid sheet of relatively uniform neoplastic cells diagnostic of Gleason score 5+5=10. In such cases, one has to consider and rule out high-grade urothelial carcinoma or metastases from other sites. Urothelial carcinoma typically shows greater degree of pleomorphism and mitotic activity. Immunostaining with prostatic markers can help in challenging cases.